Leading car park operator CitiPark is delighted to announce that its Rickmansworth branch, a new ticketless, barrier-less car park in Hertfordshire, has been awarded the prestigious Park Mark from the Safer Parking Scheme, an organisation that works across the UK to make car parks safer for customers. 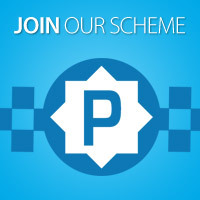 The Safer Parking Scheme’s ‘Park Mark’ award is a nationwide benchmark for UK car parks, designed to reduce crime and the fear of crime, ensuring the safety of customers and their vehicles. A Park Mark helps drivers find car parks where they can confidently leave their car, knowing that it will be in a safer environment. Every car park that receives the award undergoes a detailed check by specially trained police assessors. Among the criteria checked in all car parks that receive the award are management practices and security measures, both of which actively help to reduce the risk of crime. 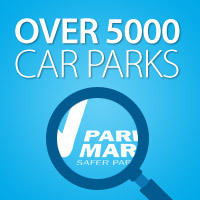 A recent study conducted by the Safer Parking Scheme found that motorists are more likely to use a Park Mark awarded car park than any other. In their most recent survey, they found customers consider location, personal safety and a safe environment the three most important factors when choosing a car park. Studies also indicate that customers who use Park Mark car parks are less likely to experience crime, as those car park operators have initiatives in place designed to reduce criminal activity. During the assessment process, the police assessor will suggest changes that are known to deter offenders, including perimeter fencing, surveillance and bright lighting. If any incidents do occur, the car park operator and assessor work together to identify the cause of the issue and appropriate action is taken.